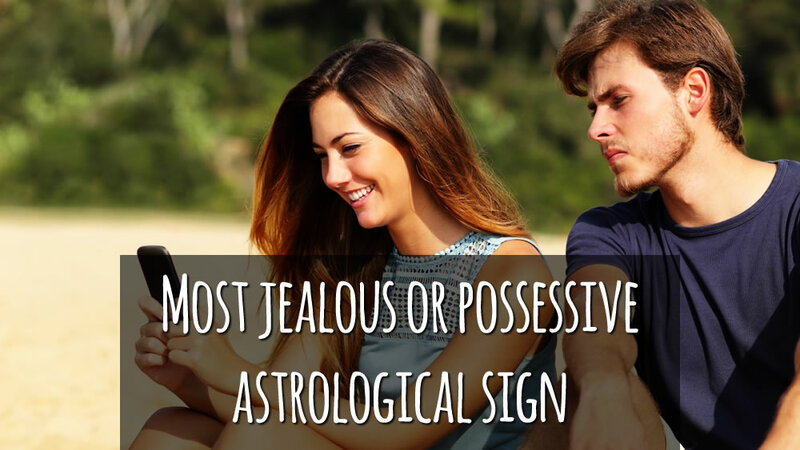 Most jealous or possessive astrological signs - CHECK them out now! 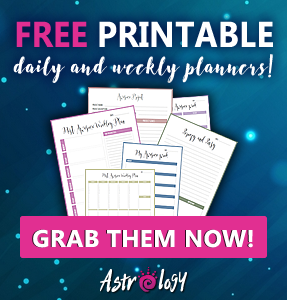 Home / Amazing Astrology / Planets in Astrology / Moon in Astrology / Most jealous or possessive astrological signs – here are they! Jealous partner is something no one wants to have in relationship, right? 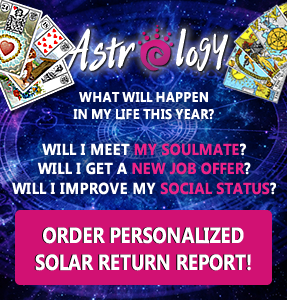 Recently a client of mine – let’s name her Lucy – asked me to do the synastry reading for her and her boyfriend (let’s name him Mark) of 7-year. She has been noticing that Mark is getting more and more jealous and no matter how much she tries to explain him that there is no reason for jealousy, he just won’t getting jealous. This has become an issue that for Lucy seems to be a deal-breaker. “I cannot live with someone so jealous… Should I just leave him?” I decided not to do synastry reading just yet but rather to do Mark’s personalized natal chart reading just to see, how he acts and reacts in love. The result was surprising… in a way. Do NOT judge by their Sun sign! 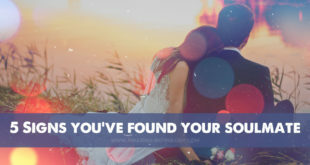 People often say; Scorpio is extremely jealous, Virgo is too dominant in relationship, Taurus is too possessive in their feelings, Capricorn takes marriage as business proposal, Cancer is too suffocating with their attachment to their partner, etc. which is true. But only at some point! However, that doesn’t mean that you cannot have long-lasting happy relationship with them. What you really should consider, to get more clearer picture of whether relationship have a future or not is to look at one’s Ascendant sign and positions (with aspects) and signs of their Moon, Mars and Pluto. There is your answer! Someone, who has their Ascendant in Scorpio, is most likely very magnetic, attractive, passionate and also very jealous person. 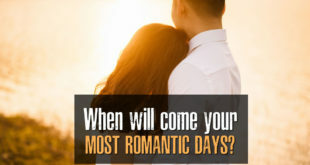 Also someone with their Ascendant in Taurus can be quite suffocating in love relationship since they want to control their partner to the point where they even need to know, where their partner goes, who goes with them and when will they come back. Having their Ascendant in Capricorn or in Cancer isn’t that brilliant position of the Ascendant as well. On the other hand, however, one cannot expect jealousy coming from someone, who has their Ascendant either in Gemini, Libra or Aquarius. It is safe to say, that Taurus, Cancer, Scorpio, and Capricorn are the signs where you need to be aware of possible jealousy in relationship. However, that doesn’t mean that a Scorpio Sun would be possessive and jealous if their Moon is in cheerful Gemini or peaceful Libra. On the other hand, if someone’s Moon, Mars and/or Pluto are in any of the mentioned signs, this can accentuate the jealousy in relationship. This is because the presence of any of the four signs in any of the mentioned planets can indicate too intense attachment to the partner. IMPORTANT! If there are any hard aspects between Moon, Mars and/or Pluto in someone’s natal chart, this can be another important sign of possessiveness and jealousy that mustn’t be overlooked. 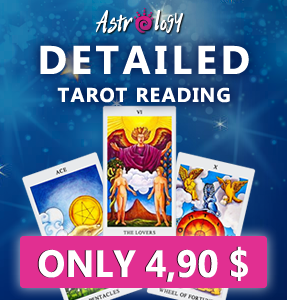 It is also very important, where in the natal chart the Moon, Mars and Pluto are positioned. If you find any of these planets in either 1st, 12th or 5th (to a lesser degree of intensity) House in their natal chart, this person will most likely have some issues with expressing their positive feelings in love. Talking about love, right? Venus is the planet of love, but when placed in bad position or having hard aspects to other planets can create problems in love. 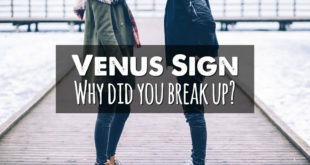 For example: having Venus in hard aspect to Mars can indicate a person, who will have very hard time to express optimistic, peaceful feelings in relationship. Or having Venus in hard position with the Moon (speaking from experiences!) can also create negative feelings that can affect negatively the relationship that one has. The Moon in opposition with his Venus in Capricorn. Talking about jealous person, right? Yes indeed, Mark is jealous person for sure. He has some hard issues to overcome if he wants to have long-term stable relationship. However, even though he has some hard aspects that doesn’t mean that he cannot have a stable love relationship. Once you get to know yourself, your natal chart and your astrological energies, you can start act consciously and change your view on love. And this is exactly what Mark needs – deep self-reflection and control of his own emotions. Or – sadly – maybe some quite Libra/Capricorn woman, who will be his subordinate… Because cheerful Lucy, who is mixture of Aries, Taurus and Aquarius this won’t be for sure!